Let your taste buds come alive with our Award Winning BBQ Sauce!! 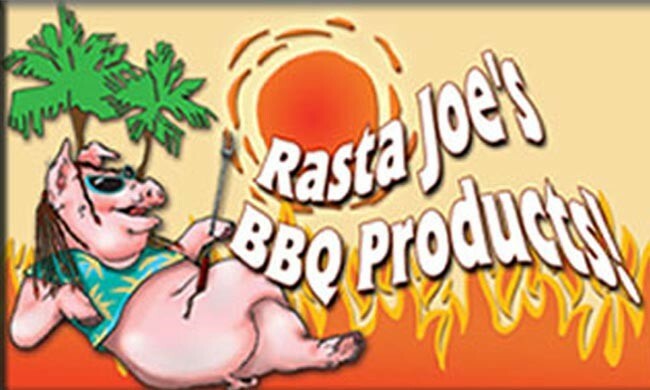 Joe Alexander, better known as "Rasta Joe" because of his unique Jamaican style pork and chicken, has been barbequing for over 30 years. In 1993 Joe turned his passion for barbequing into a National Award Winning business. Considered by many to be one of this country's top BBQ chefs, Rasta Joe continues to win National Rib Cook-Off competitions from Coast to Coast. 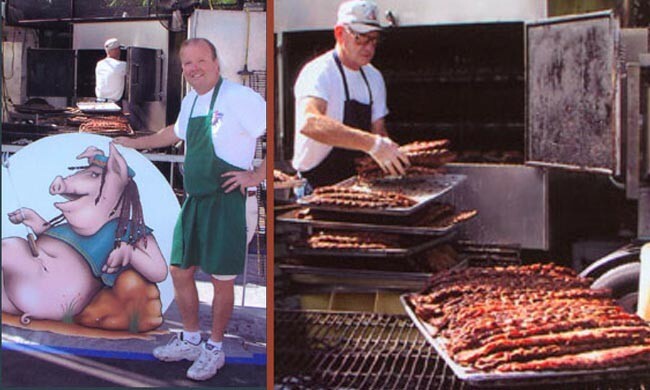 In fact, winning awards at America's most prestigious BBQ competition, held at John Ascuaga's Nugget Casino in Sparks Nevada, is nothing new for Rasta Joe. This Rib Cook-Off is held every year over Labor Day weekend and plays host to 24 invited rib cookers and over half a million spectators. The Food Channel's recent coverage of this spectacular event was a new and exciting experience for Rasta Joe. Rasta Joe's Mild BBQ Sauce 18oz! Rasta Joe's Mild Sauce is a time-proven National Award Winner! The great flavor comes from its unique blend of tropical spices, a splash of Jamaican Rum, and the moderate use of peppers. Try Rasta Joe's Mild Sauce at your next barbeque and enjoy the praise! Great sauce to use on all types of meat and poultry, or use it as a dipping sauce for shrimp. Rasta Joe's Wild N' Spicy BBQ Sauce 18oz! A favorite among those who like it HOT! Rasta Joe's Wild N' Spicy Sauce continues to please those who can handle the HEAT! Using only the finest natural ingredients, combined with Rasta's secret blend of island spices and a generous amount of fresh peppers, this sauce is NOT for those with a "Tender Tongue". Try it on your wings, but be prepared...they may start flapping in your stomach! Rasta Joe is proud to offer his "NEW" Sweet Sauce! Enhanced with all the same great island seasonings as his original sauce except for the peppers. 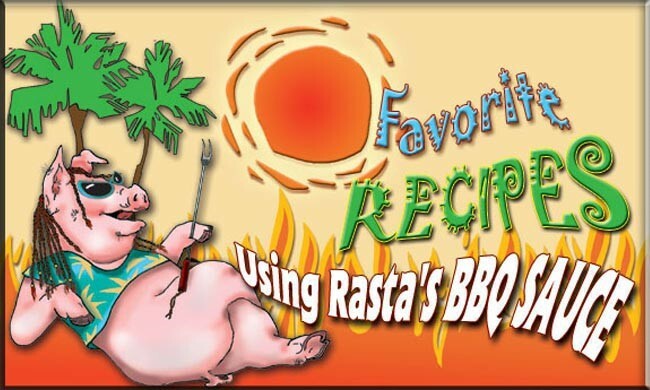 BBQ sauce lovers who enjoy a sweet, tangy flavor without the 'heat' will love Rasta Joe's Sweet Sauce. It's perfect to use on pork, chicken, and beef...or use it as a marinade! 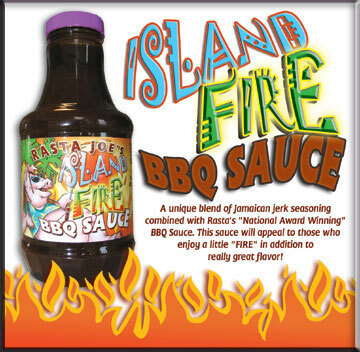 Rasta Joe's Island FIRE BBQ Sauce 18oz! A unique blend of Jamaican Jerk seasoning combined with Rasta's "National Award Winning" BBQ Sauce. This sauce will appeal to those who enjoy a little "FIRE" in addition to really great flavor! Rasta Joe's Dry Rub 14oz! A special blending of spices that will enhance the overall flavor of ribs, chicken, and pork. 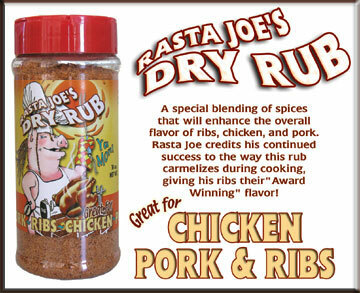 Rasta Joe credits his continued success in National Ribfest Competitions to the way his rub carmelizes during the cooking process to give his ribs their "Award Winning" flavor! Try it and find out for yourself why using Rasta Joe's Dry Rub on your ribs, chicken or pork requires no additional condiments or sauces! © Copyright Rasta Joe's BBQ. All Rights Reserved.